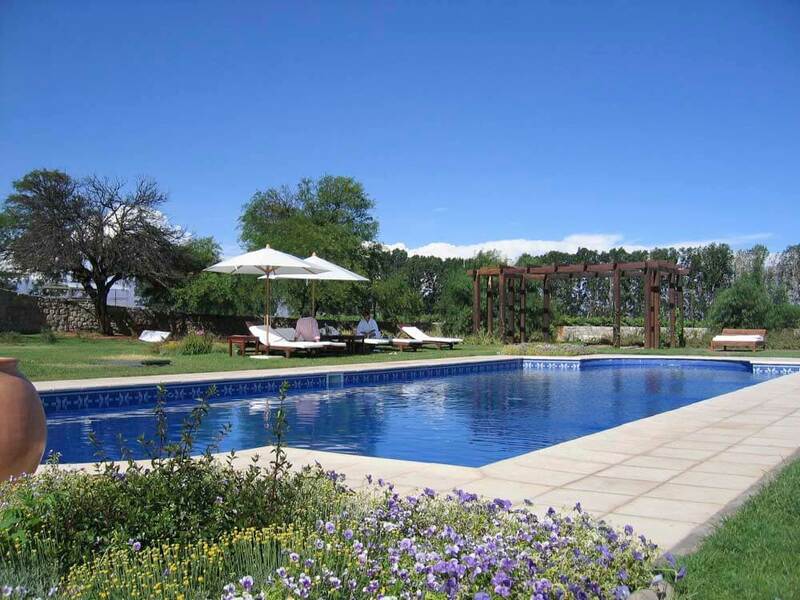 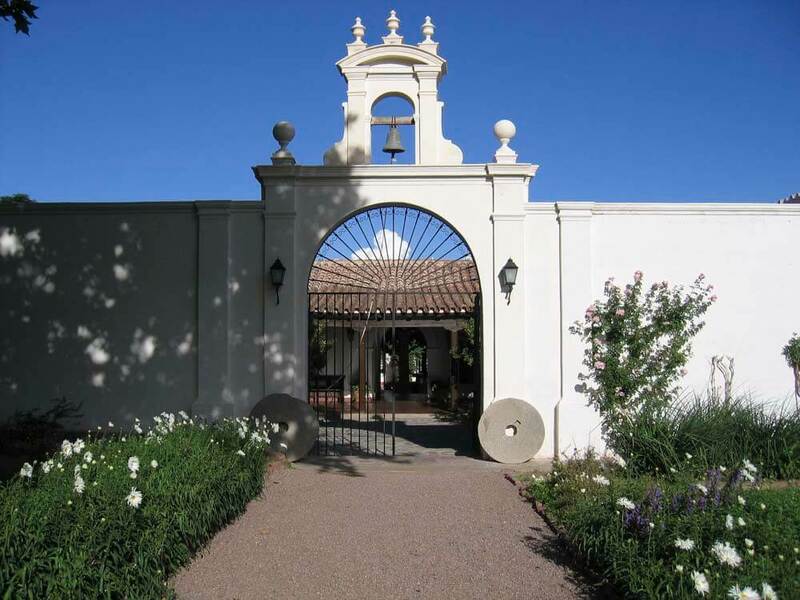 Walk through the wrought iron gateway to Patios de Cafayate and you will be confronted with a superb example of a traditional, colonial-built Argentine estancia. 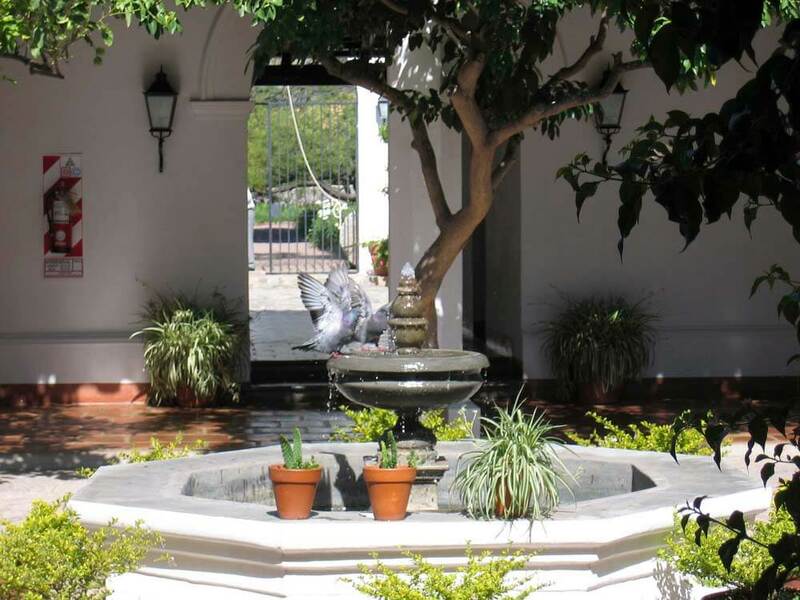 You’ll find a charming, colonnaded courtyard with a floodlit central fountain, shaded by fruit trees. 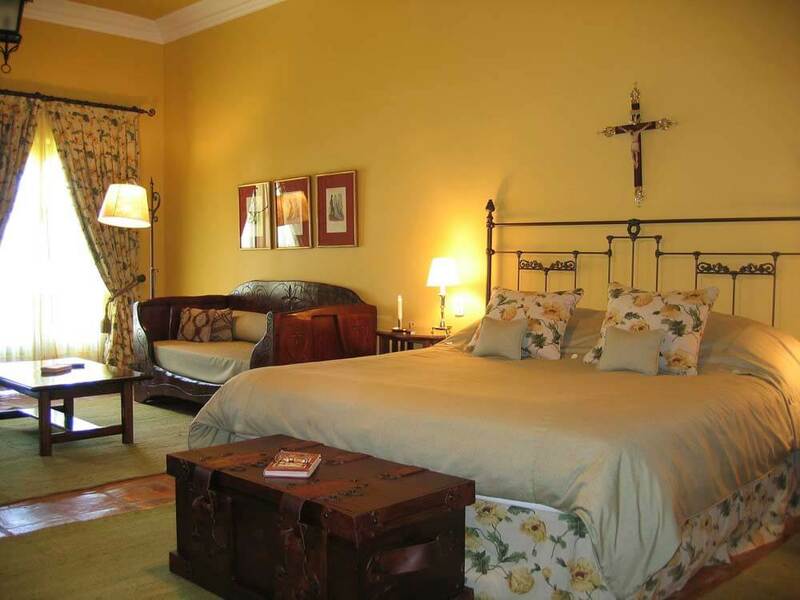 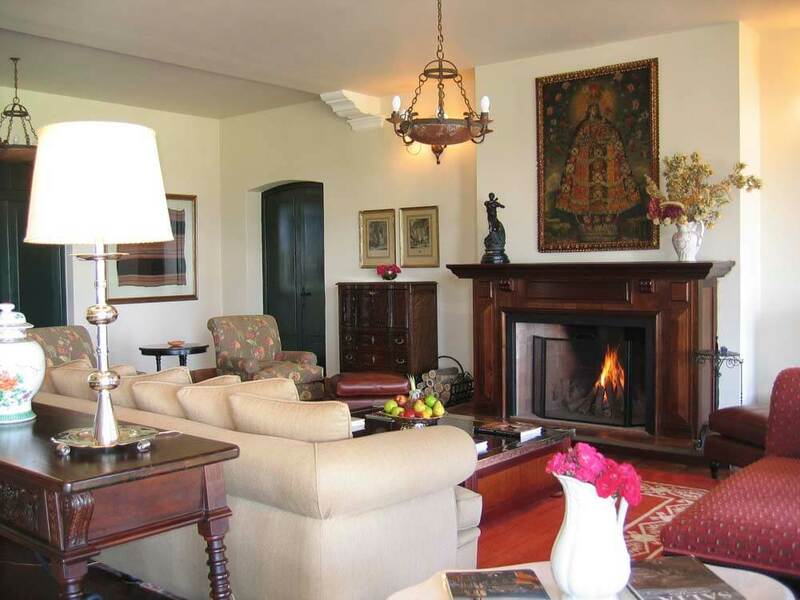 Inside the décor is traditional and elegant, matching the period of the estate – established in 1740 – perfectly. 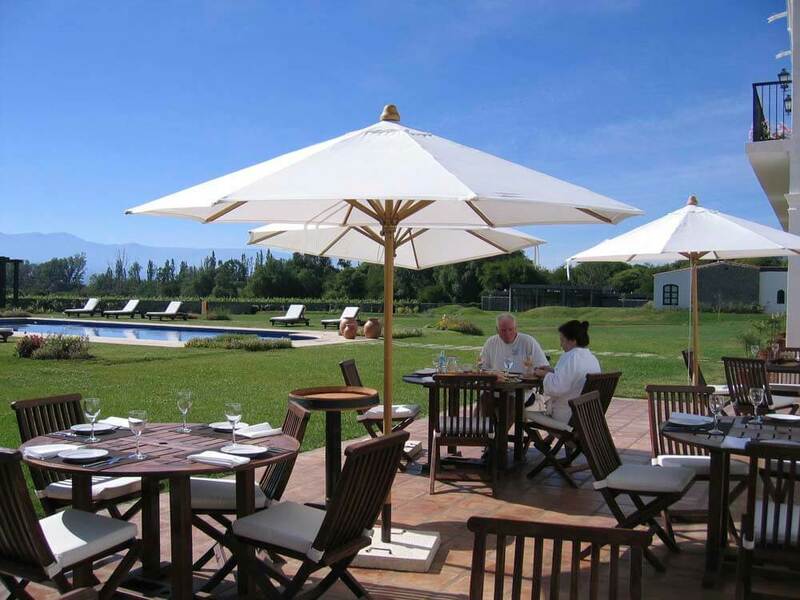 Stroll through the spectacular gardens of the estancia and you’ll find yourself surrounded by acres of dense green grapevines. 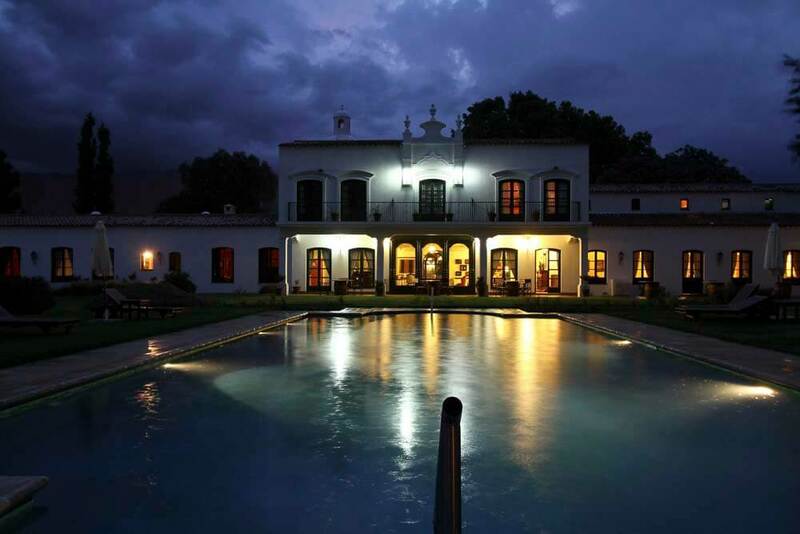 As well as being a wonderful resort and spa, Patios de Cafayete is a renowned vineyard with a history stretching back to the 1870s. 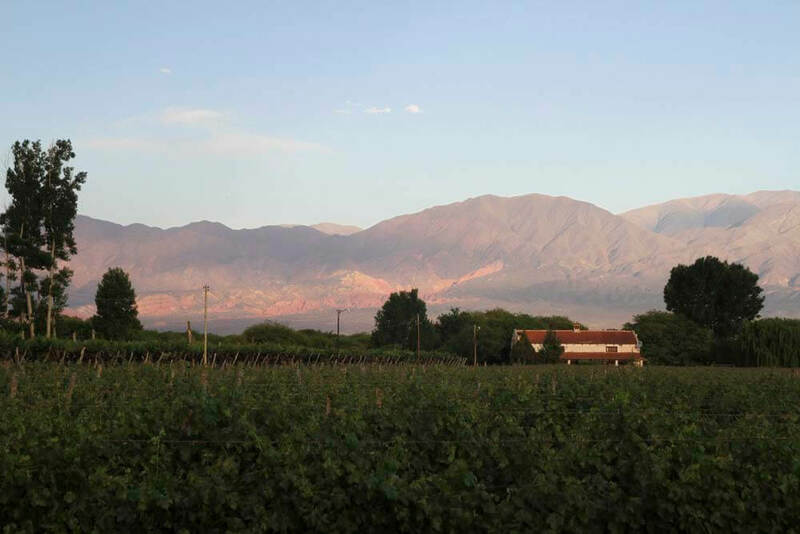 And beyond the vines lies the astounding scenery of the Calchaquies Valleys. 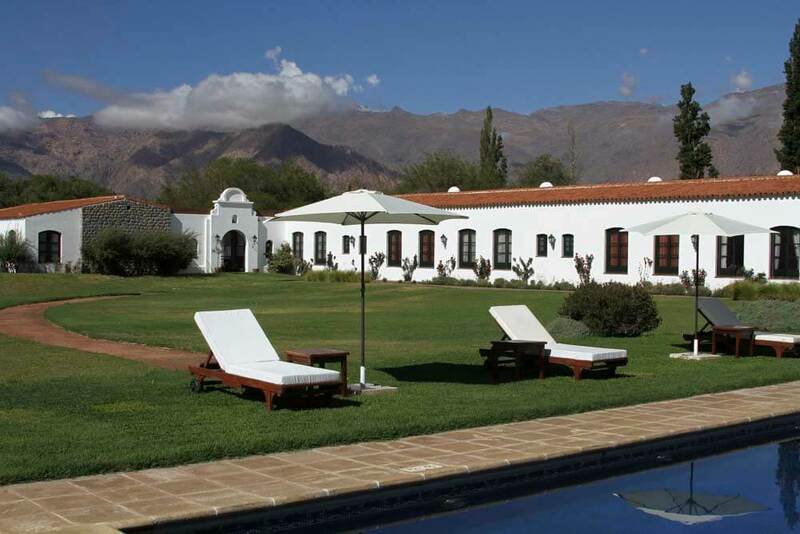 Expect red, wind-carved boulders the size of hotels and endless, panoramic vistas.